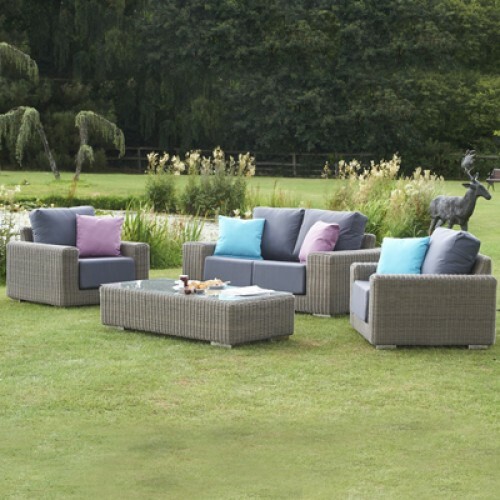 This magnificent Mayfair modular furniture set creates an inviting setting for sitting back and socialising in your garden. 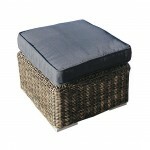 This extensive and sociable corner arrangement is perfect for parties and relaxed gatherings. The modern Mayfair design presents a handsome picture with chunky, angular shapes and attractive hand woven rattan finishes. 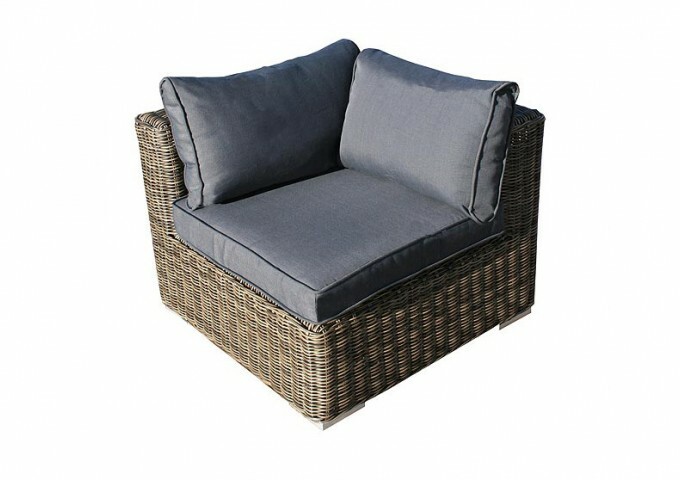 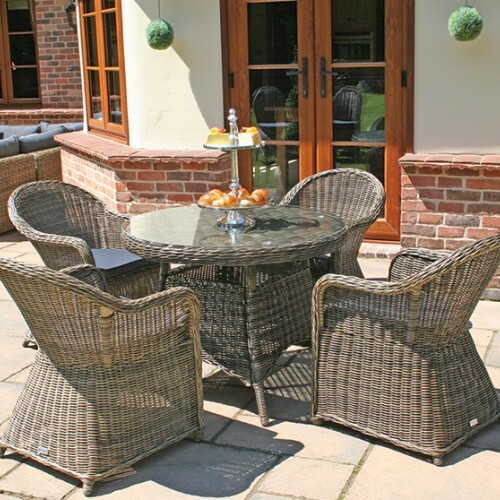 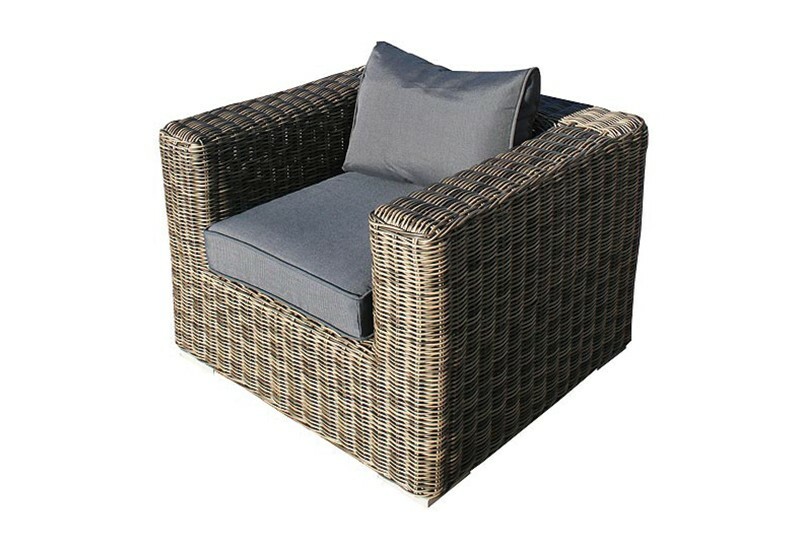 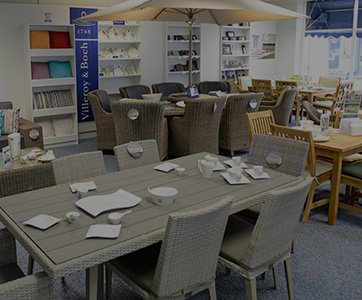 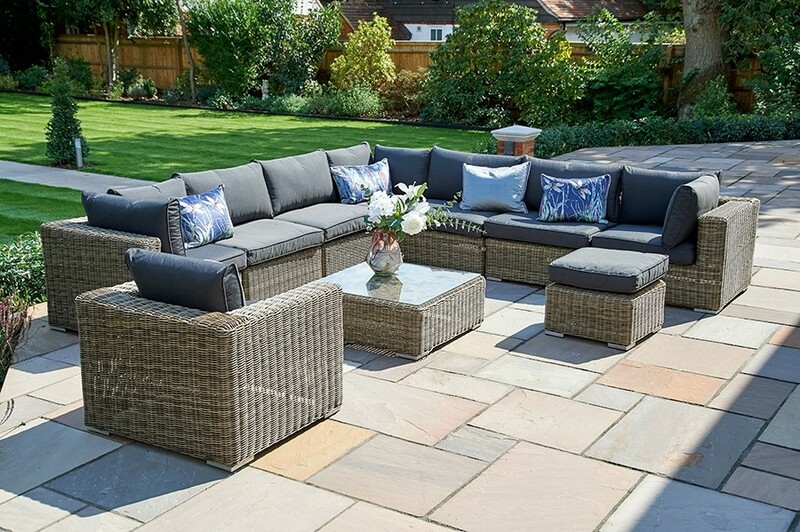 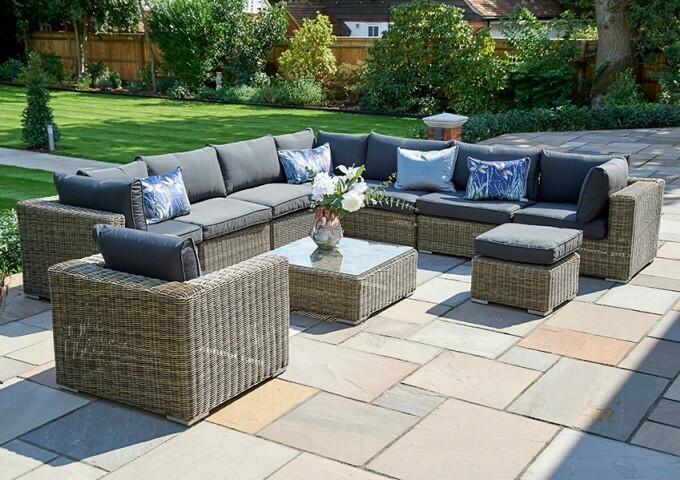 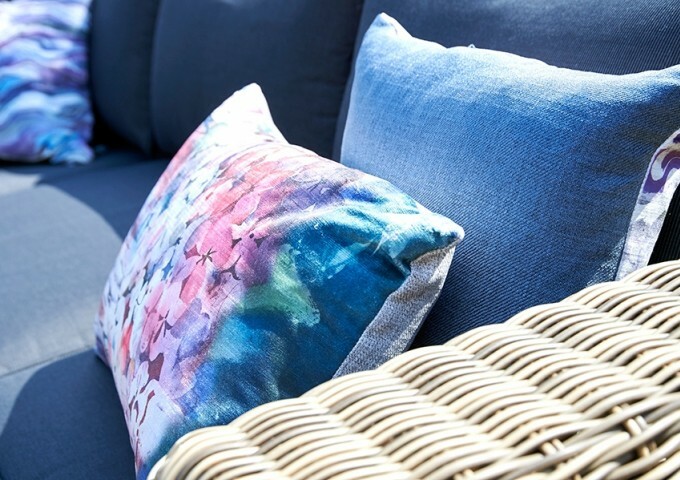 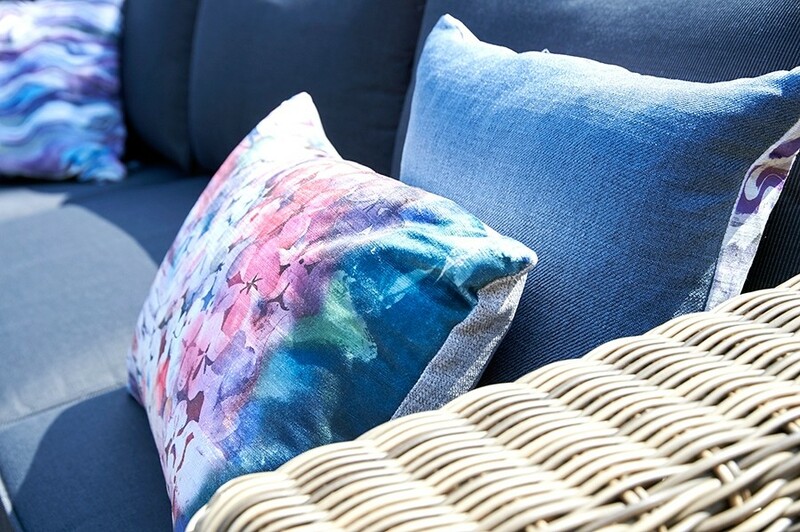 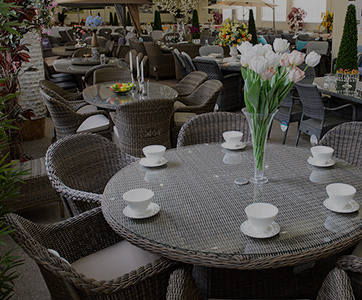 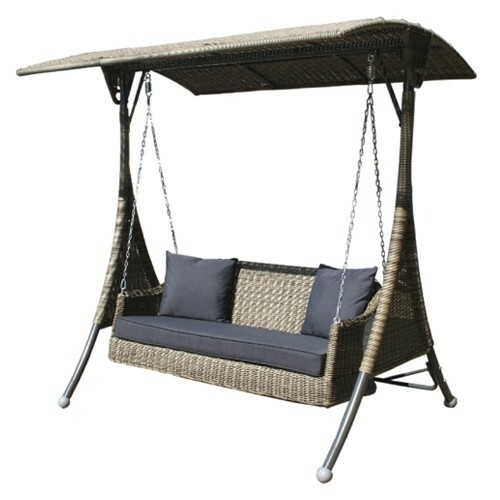 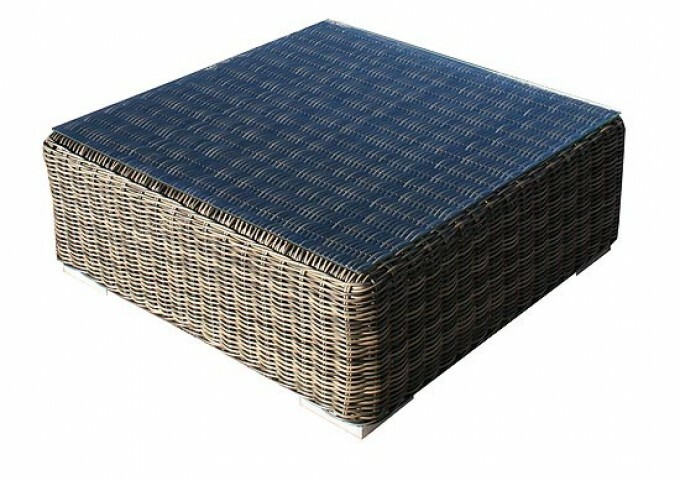 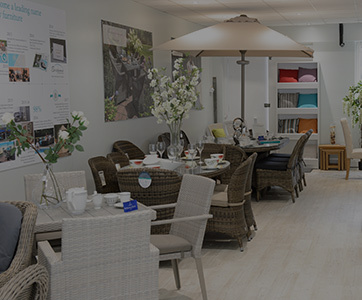 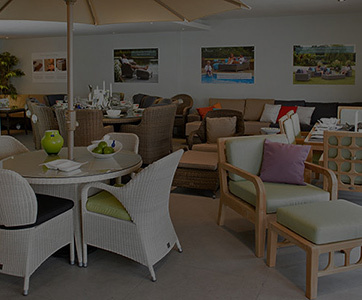 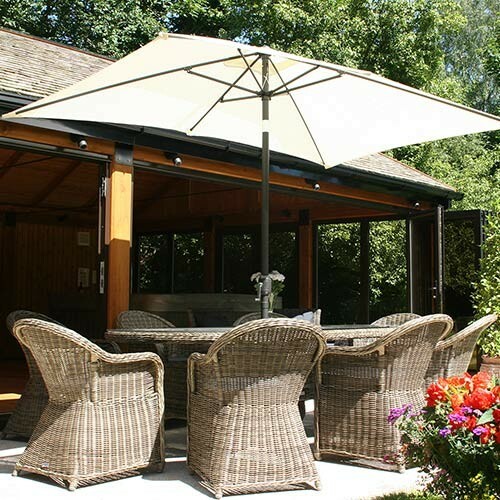 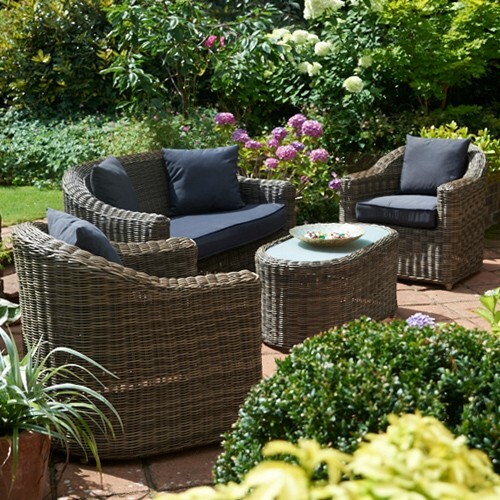 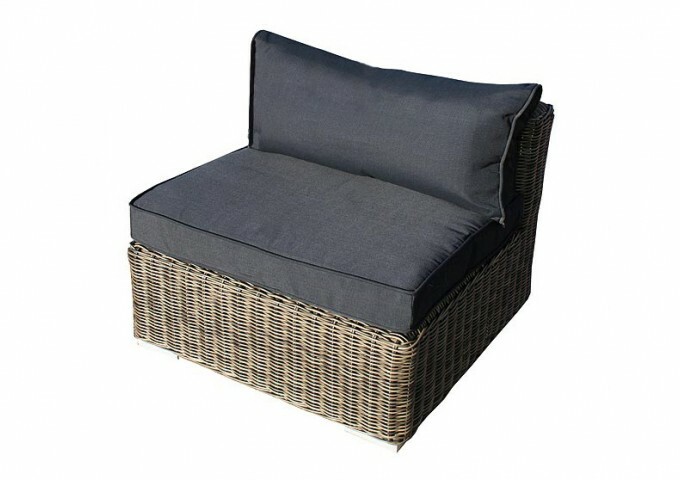 This set also boasts the benefit of weather resistant structures made from aluminium and synthetic rattan material that will look exceptionally authentic for years to come. 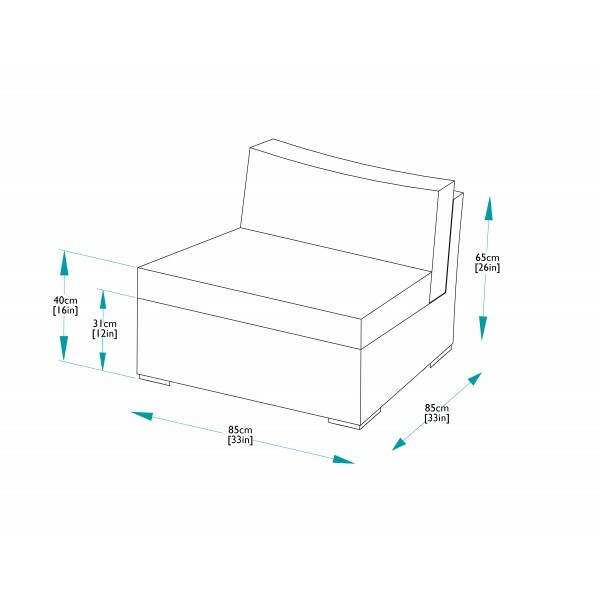 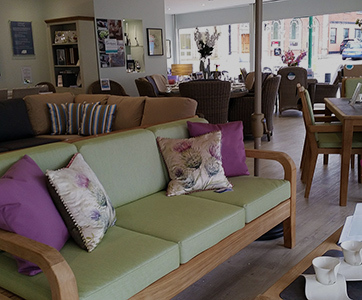 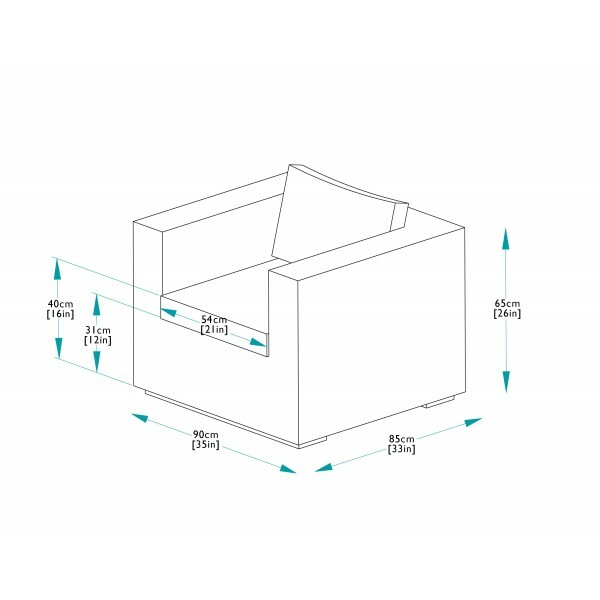 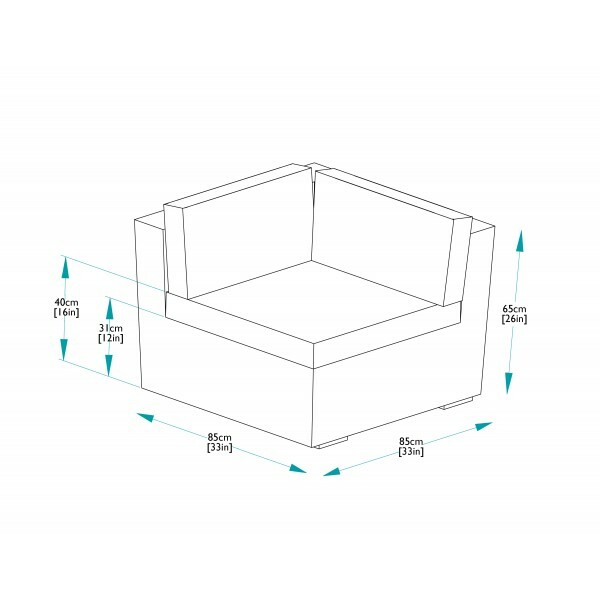 This ten piece Mayfair modular seating set consists of three end/corner modules, four sofa modules, one lounge armchair, one footrest and one square coffee table topped in clear safety glass. 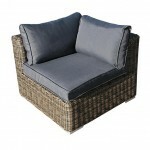 This arrangement calls out comfort with the deep seats, wide armrests and thick padded seat and back cushions. 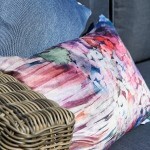 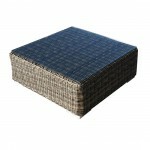 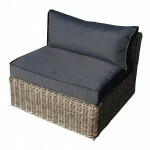 These cushions are upholstered in contemporary grey fabric. 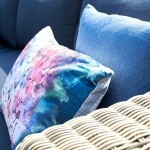 Please be aware that Mayfair Cushions are not waterproof. 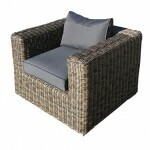 We advise that they are brought in during wet weather. 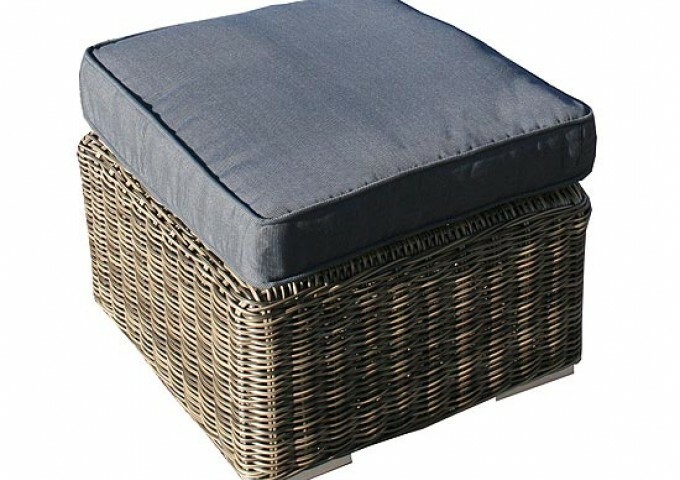 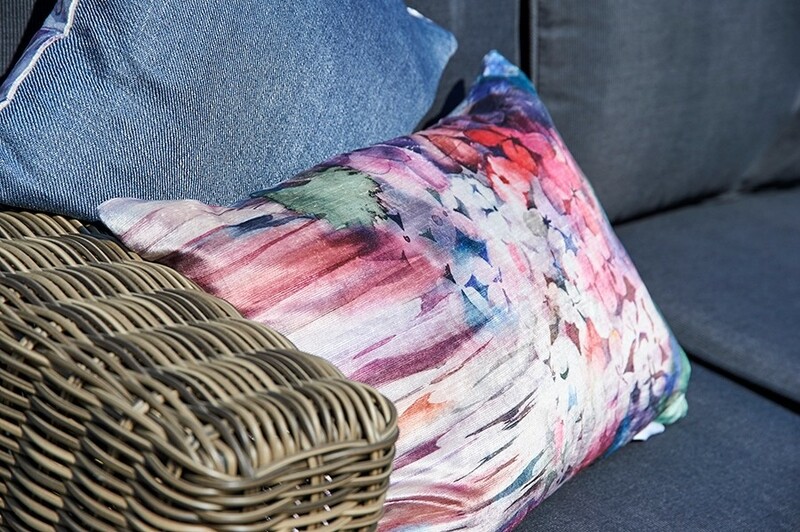 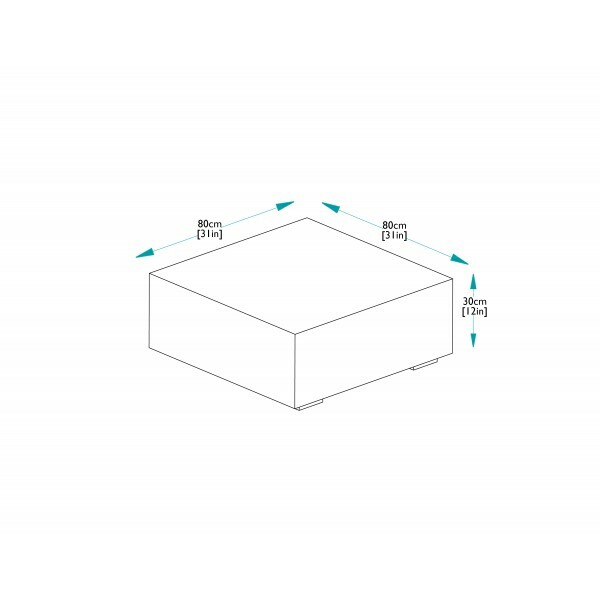 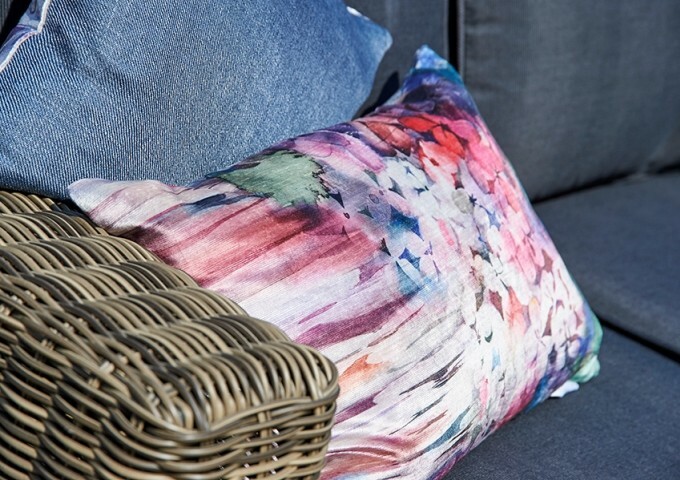 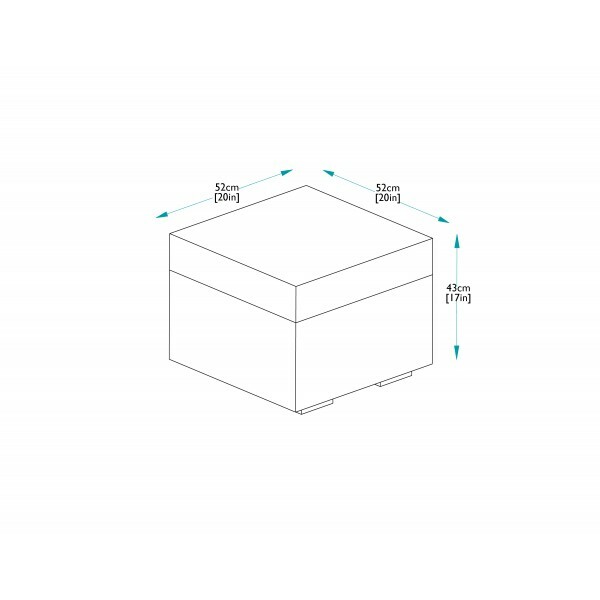 Cushion storage bags are available as a convenient and inexpensive option if required. 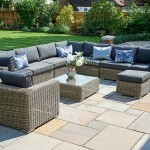 (three bags are needed for all the cushions in this set).